The past few days have been all about caring and my emotions have been as overwhelmed as the floor and sorting tables at the Armoury. Things were chaotic throughout early Saturday as hundreds of trucks, cars and trailers streamed in. For a period, I was concerned that the material could ever possibly get sorted and packed. But my little army was very determined and the job got done. Everything was into carefully marked shipping boxes, loaded onto 28 pallets and finally loaded onto a 53 foot trailer by 5:30 Sunday. Yesterday, at Base Borden; we gathered to turn the shipment over to the military. An amazing day provided a chance for me to spend a bit of time with two long lost cousins. Consistent with the lives of far too many Indigenous families, my cousins (Judi and Sheila) and myself saw a reunion after almost 150 years of family separation. My cousins brought their friends in a Ladies Drumming Circle and they performed and took part. I was touched to watch the ladies invite some of the students from a Mississauga school take part. I wish to thank too many people and will be doing that for some time. As another National Aboriginal Day will pass in Canada this year on June 21, 2011 a single event will be taking place that will represent hope in hundreds of remote Aboriginal Settlements in the north. 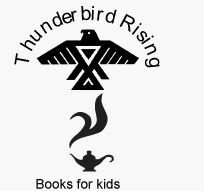 For young people living in places such as Attawapiskat, Winisk, Bearskin Lake, Missabay, Fort Hope and some 40 other locations, young children are without the basic tools of education. In a nation full of hope, our Canada is very much a land that demands and expects literacy. While even adults arriving in Canada from foreign lands are provided no-cost language training, young children in remote Aboriginal Settlements scattered across Canada’s north do without proper schools, trained teachers and (far too often) without text books. My travel among my Native brothers and sisters throughout the past two years has exposed me to things that ought not to be acceptable in our Canada. Lack of proper housing, contaminated ground water and this lack of education opportunity should stir the conscience of any fair thinking person. To those living in these remote settlements in these dire conditions, hope is non-existent. Despair, particularly among my young brothers and sisters in these regions leads to youth suicide rates that are easily 10 times the national average. So here is my challenge to you. This past week, I formalized an agreement at Canadian Forces Base Borden with the 3rd Canadian Ranger Patrol Group. As part of their regular annual tour of northern settlements throughout April 2011, the Rangers will be building a list for us. This list, containing the locations, number of children by age group will be added to my own lists to form a more comprehensive list of those in need of education materials. The Canadian Forces help though goes well beyond creating lists of needy settlements. On Saturday, June 25 and Sunday, June 26, the Forces have lent us use of the Armories in Georgetown Ontario (located at: 91 Todd Road Georgetown, Ontario, L7G4R8). We will be assembling, sorting and packing all education materials collected at the Georgetown site over those two days between 08:00 and 17:00 hrs. Once that work is finished, the Forces will be adding this cargo to a convoy of heavy vehicles being used that weekend as part of a training operation. These large trucks will transport all our material to Base Borden where the Rangers will accept responsibility to transport these materials to the numerous fly-in only locations throughout the north. But your help is needed. We need about 4 times as many books as are already collected. We are now in possession of about 40 pallets of elementary level texts. We are seeking brand new and gently used , contemporary books. We need school supplies such as gifts of scribblers, pens and pencils. We would love to be able to supply these children with art supplies (crayons, sketch pads and so on). One donor has provided me with about twenty children’s book bags (back packs). In accepting that contribution, I instantly recognized another problem: which lucky children should receive a bag? Each of us are fortunate; so very fortunate to live in a society where such needs are no concern for our own kids. I sadly report that since January First, 2011, 15 young persons have committed suicide in north Ontario alone. All of us though are capable of in some small way lighting a candle of hope for these children. In supplying them with these educational materials, won’t we be showing them that there is hope? Showing them that they are part of this much larger family called “Canada”? I am asking for your help. Contact your friends and inform them. In that information process, a third benefit occurs. That benefit is awareness. I have had good success begging surplus books from schools and school boards. I am certain that some of you may be in such positions or have such contacts. Others may have access to publishing houses, school supply manufacturers etc. We are also in need of about 20 teachers to help by supervising the activities at the Georgetown Armories (June 25 and June 26). We need a small army of enthusiastic book packers during those two days. We need sturdy card board boxes and packing tapes. I believe in Canada and I firmly believe that most fair minded Canadians will want to help in this work. Can I count on you?